Despite the challenge of trade protectionism looming large, voices for cooperative and inclusive business models never die. From June 9-16, more than 500 business leaders and academic luminaries from China and Europe will attend the 10th Sino-European Entrepreneurs Summit (SEES) to address cooperation and inclusive business models. The weeklong summit, with sessions in London and Edinburgh in the U.K. and Dublin, capital of Ireland, seeks to address the political, economic and market conditions influencing strategic development of business between them. Focusing on innovation, economic resurgence and win-win situation, the summit is expected to launch a new epoch for China and Europe sustaining cooperative economic growth. The summit, constituting keynote speeches, roundtable dialogues and site visits, will enable participants to gain first-hand information about the world's developed financial hubs and economic centers (London and Edinburgh) as well as the European Silicon Valley in Dublin. 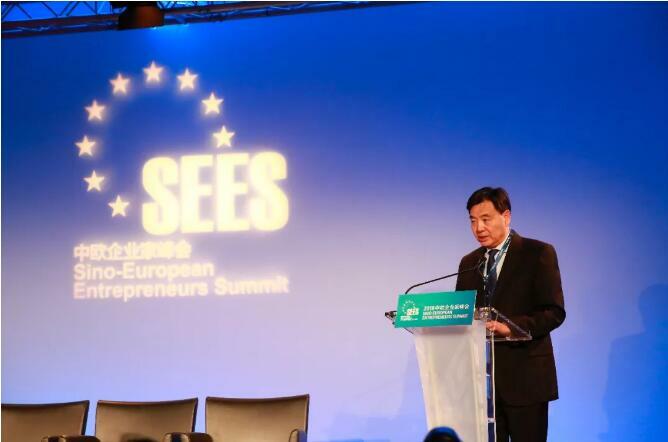 ​More than 500 business leaders and academic luminaries from China and Europe will discuss maintenance of global sustainable, cooperative and inclusive development at the 10th Sino-European Entrepreneurs Summit this June.